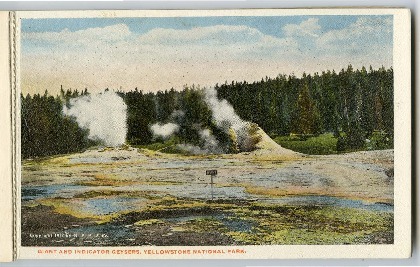 Giant and Indicator Geysers postcard, Yellowstone National Park, 1912. Souvenir folder. Copyright N.P.R.R. 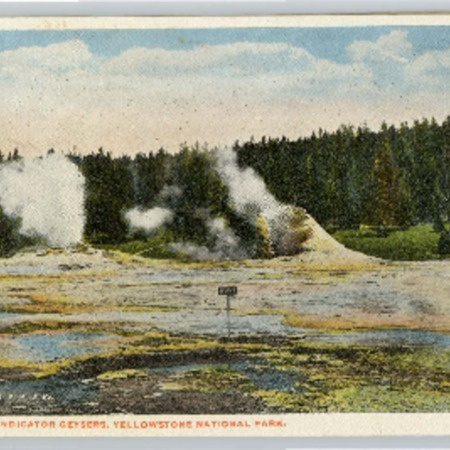 Co.
“Giant and Indicator Geysers postcard, Yellowstone National Park, 1912,” Highway 89, accessed April 22, 2019, http://highway89.org/items/show/10205.